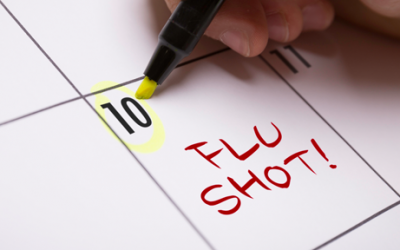 Visiting the doctor can be confusing, scary and just one more thing to put on your already busy schedule. For those in our community suffering from chronic conditions and/or mental illness managing appointments and understanding care instructions is even more challenging. My first encounters with patients with diabetes were in a hospital setting in the final two years of medical school. 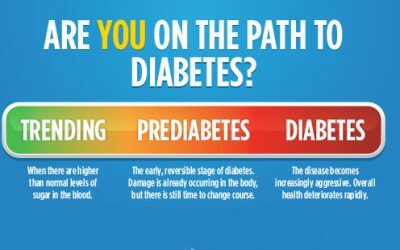 I remember witnessing the complications of diabetes: patients suffered heart attacks or strokes, others required dialysis after kidney failure, still others had chronic numbness or pain caused by the effect of high blood sugar on the nerves in their legs. Delicious food, live music, family fun, FREE dental cleanings and FREE blood pressure checks! 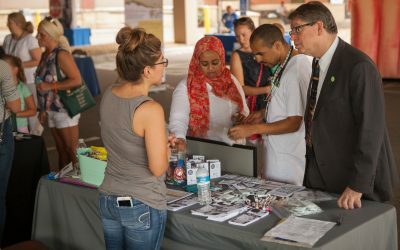 That’s what you’ll find at United Family Medicine’s second annual Healthy West 7th Block Party, presented by The Language Banc, Thursday, August 17th, from 4:30 p.m. to 7:30 p.m., at 1026 West 7th Street in Saint Paul. Moving to the West Seventh neighborhood of Saint Paul last spring, my husband and I were thrilled to see a community of people who care- about each other, about their health, about their tiny libraries, and about the festival of the day. We saw artist’s lofts, thriving local businesses, friendships between diverse peoples, and green spaces everywhere- from community centers to parks to gardens. We saw Day by Day Café and Fresh Grounds Coffee, which not only serve delicious food and coffee, but also offer gainful employment to people recovering from addiction. The opioid crisis in America has had devastating effects on people across the country. You likely know someone who is struggling with addiction to prescription opioid pain medication or heroin, whether it is a family member, friend, neighbor, coworker, or yourself. 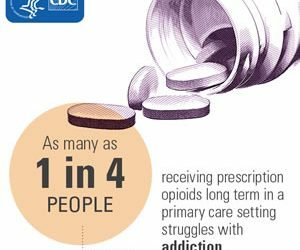 In 2012, the National Institute on Drug Abuse estimated that 2.1 million Americans suffer from substance use disorders related to prescription opioids, and 467,000 are addicted to heroin. These numbers are rising. According to the Centers for Disease Control and Prevention (CDC), over 33,000 people died from an opioid overdose in 2015, more than any year on record. When is the last time you did something you truly enjoy? When is that last time you felt focused and grounded rather than going through the motions of your day? When is the last time you did something that made you feel like yourself? Most people when asked such questions will pause and say they have lost themselves in work, family, or other stressors that come with the daily grind of life. They speak of having no time for themselves but can rattle off numerous tasks and supportive activities they are doing for others. This year, I would like to challenge you not only to take time for yourself, but to reconnect and get acquainted with the person you may have lost over the past year. 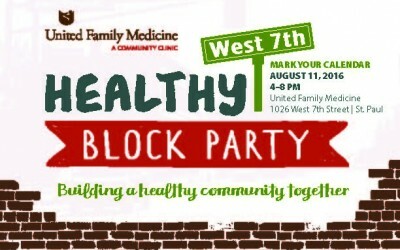 In celebration of National Health Center Week, United Family Medicine (UFM) will be throwing a community health-focused block party. 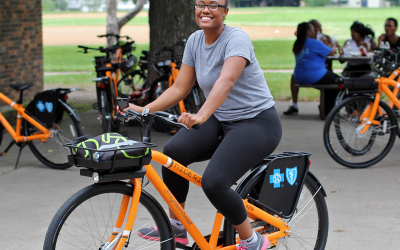 On Thursday, August 11, from 4 to 8 PM, UFM will host a community celebration for the West 7th neighborhood, celebrating all the ways a community supports leading a healthy lifestyle.